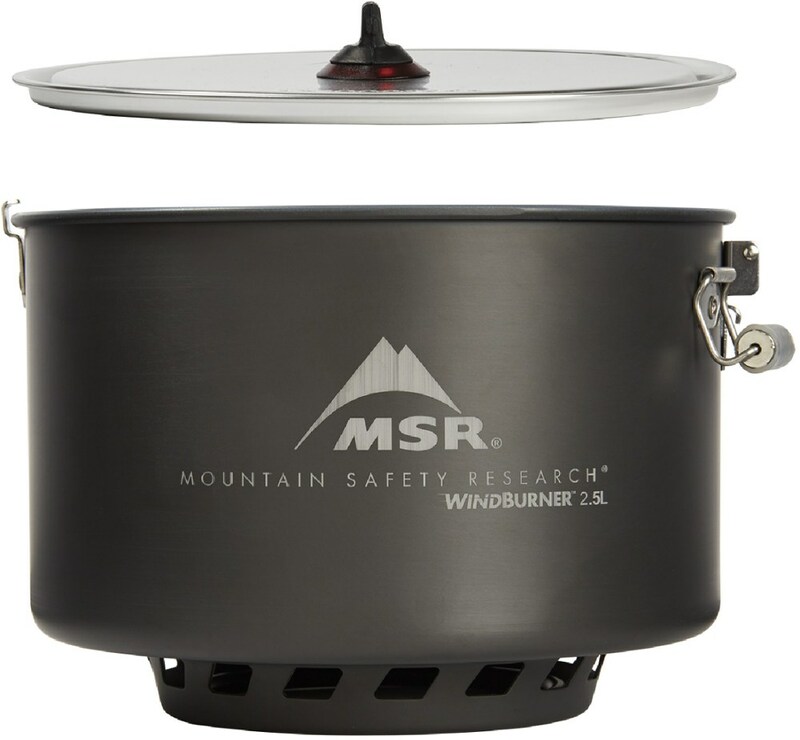 MSR WindBurner Stock Pot - Perfect for fixing big meals, the MSR WindBurner WindBurner Stock Pot has your group covered. Thanks to an integrated heat exchanger boil and cook times are very fast. 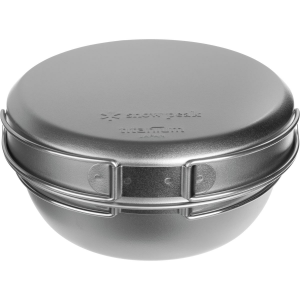 This 4.5 liter pot also features fixed handles for easy lifter as well as a handy strainer lid that locks in place. 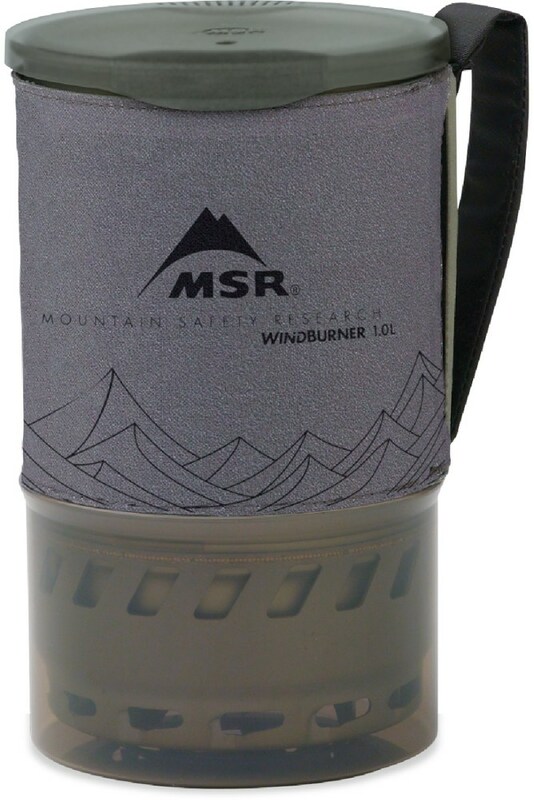 MSR Camp & Hike Windburner Stock Pot 10370. 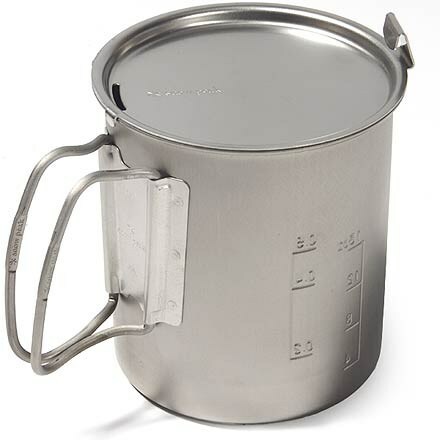 The perfect accessory pot for WindBurner Stove Systems the 4.5 L hard-anodized aluminum pot features fixed handles for easy lifting and a strainer lid with locking latches. Compatible exclusively with WindBurner Stove Systems. Not for use with the WindBurner Personal Stove System. 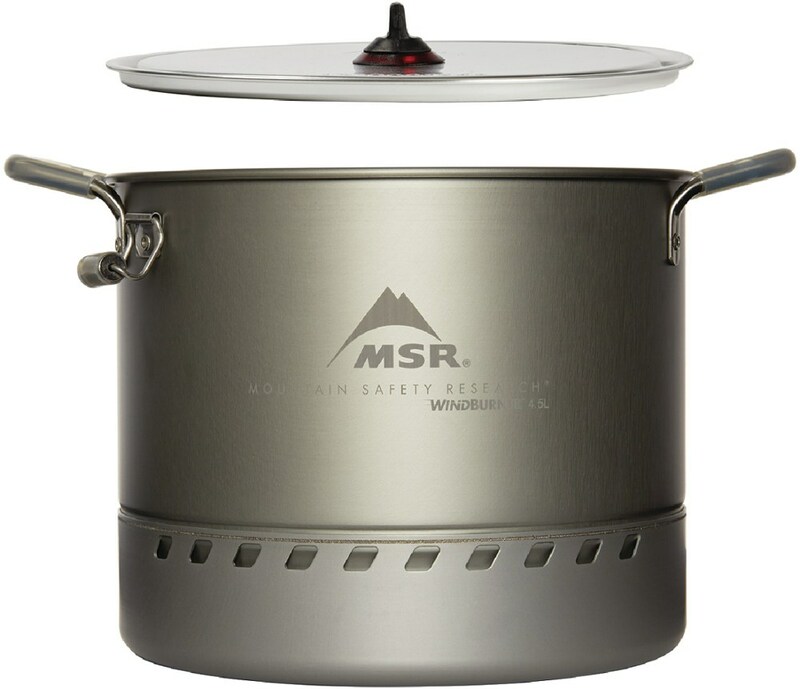 Great for groups and large-volume cooking in the wilderness, the fast-boiling MSR WindBurner Accessory 4.5-liter stock pot with integrated heat exchanger fits your WindBurner Stove System perfectly. 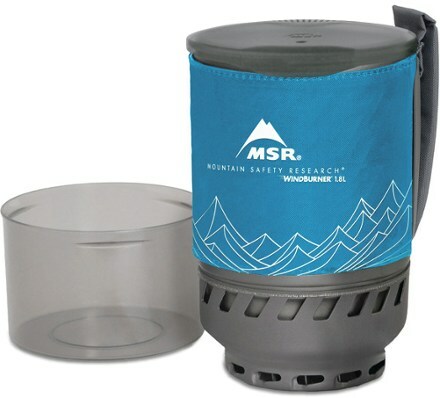 Make a stew for everyone passing the campsite with your Windburner Stove and the MSR Windburner Stock Pot. 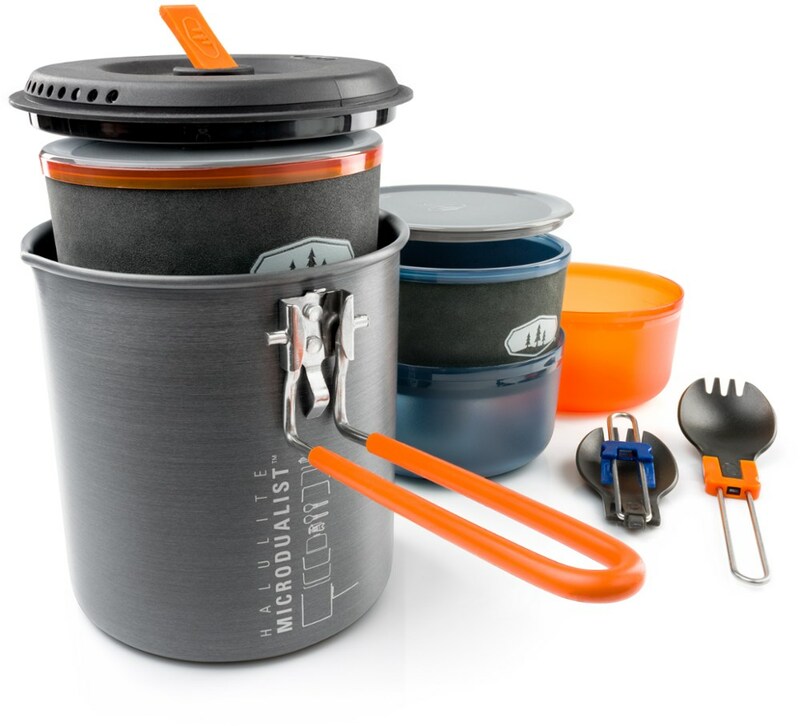 It connects directly to the stove for windproof protection, so you can boil water in windy conditions with ease. The non-stick surface makes it easy to clean up, something you'll really value when your stomach is as full as you are tired.